Silvia stirs a large pot of corn that is boiling on a wood-burning stove while her grandmother sits in a chair, looking on. Her four children are outside playing with the chickens and the dogs, and the family pig basks in the sun. Her two-room tin house was built through Silvia’s hard work, determination, and sacrifice. 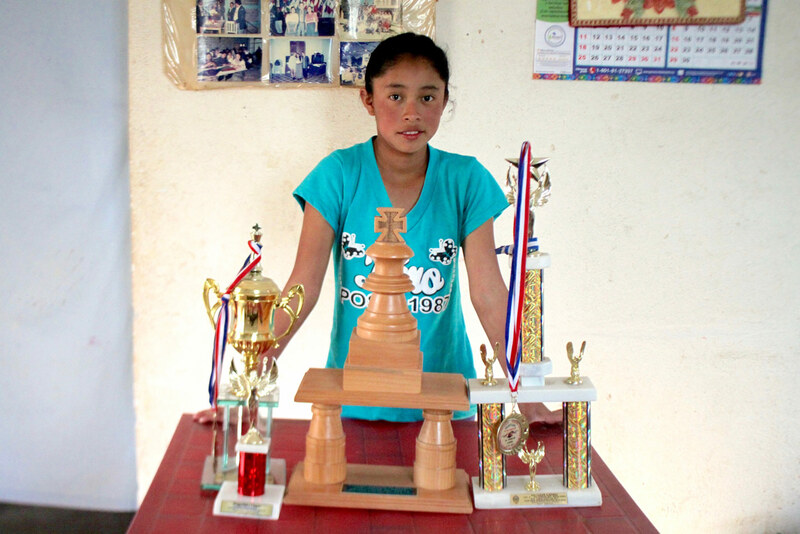 It is nestled on a small plot of land owned by her mother in the village of Nuevo Progreso. She moved to her mother’s land four years ago, pregnant, and with three young children in tow, leaving an abusive husband behind in Guatemala City. 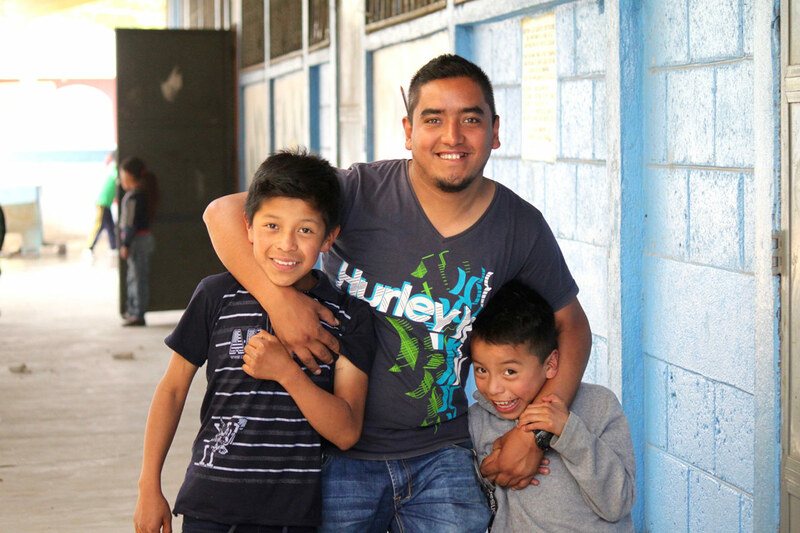 Like other parents around the world, Silvia dreams of bright futures for her children. Silvia is among countless other Guatemalan women who have overcome extraordinary obstacles to provide better lives for their children. The failure to enforce policies that protect women’s rights has led to a culture where domestic violence is the norm. Two women are killed every single day in Guatemala, which has one of the highest rates of femicide (deaths of women due to gender-based violence) in the world. A culture of machismo still has a stronghold across the country. This belief system holds that women are to stay at home and take care of children, and not work outside the home or be educated. They must ask for permission from men when they want or need to leave the house. These compounding factors make it difficult for women to leave abusive homes or assert their rights. Silvia’s journey, like far too many women in Guatemala, includes emotional and physical abuse. “I didn’t know what I was worth,” she says. When she moved to Nuevo Progreso, she enrolled in Mil Milagros’ Early Childhood Development Program at the suggestion of a neighbor. “My daughter was really sick, and I was scared,” she shared. As part of the Early Childhood Development Program, Silvia participated in The Parenting Journey, a Massachusetts-based program with whom Mil Milagros partners, that seeks to create more resilient families by supporting parents in developing their inner strengths, life skills, and networks of resources. Participants talk about their dreams and goals for themselves and their children in sessions led by trained Mil Milagros facilitators from their own communities. “It was there that I learned that I have a lot of value. It didn’t matter that I only went to school for three years. I learned things about myself that I didn’t know before. I bet I already had those strengths, I just didn’t know it before participating in the Parenting Journey. Nobody had ever told me that I had value or strengths to share. Silvia’s transformation is nothing short of remarkable. When Mil Milagros staff first met Silvia, she was cautious and unsure of herself, but they could see potential in her. 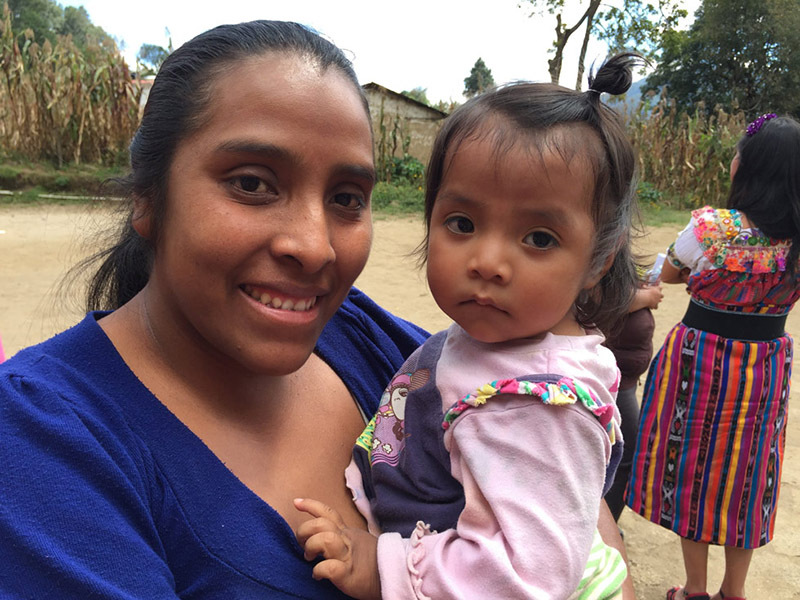 Like a sponge, she soaked up information and soon became a Mil Milagros Mother Leader, sharing the information she had learned with the rest of the mothers in her community. 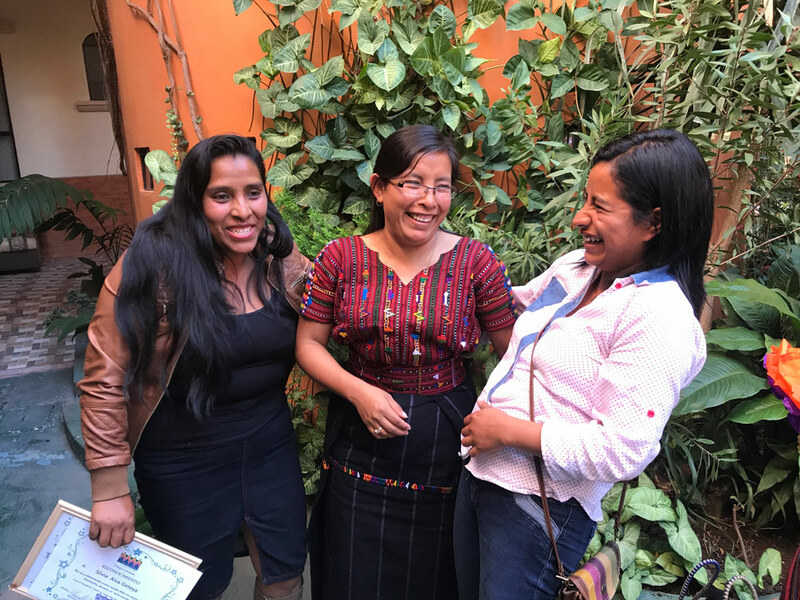 Mil Milagros staff saw such strong leadership abilities in Silvia that she was hired as a Mil Milagros Community Coordinator in January 2018. She now earns a living by working with other mothers to implement Mil Milagros programs in various partner schools and communities. Little did Mil Milagros staff know when they offered Silvia the job, she had been contemplating a treacherous trip to the U.S., leaving her four children behind in the care of her mother. She was desperate for hope and a job to support her children.